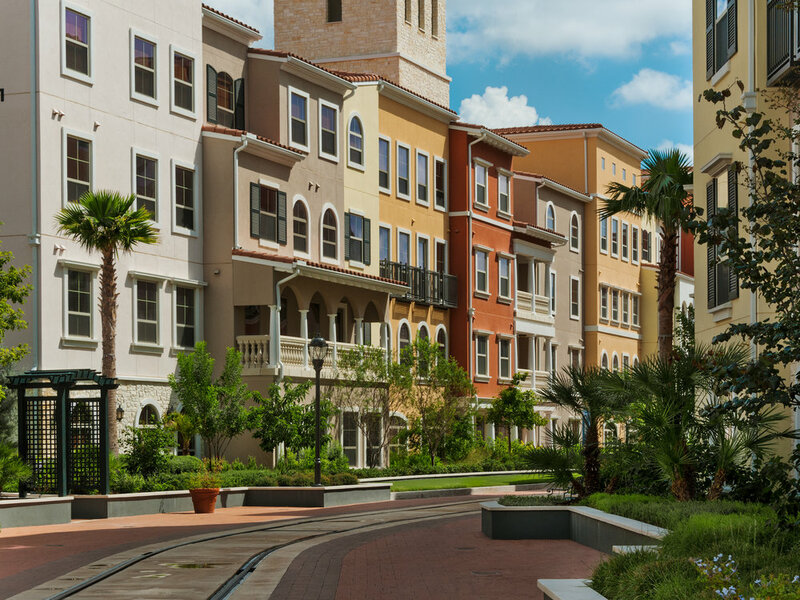 Ryan Associates joined a multi-disciplinary team to design this new town center in San Antonio. Modeled on Italian hill towns, this mixed-use development has a central piazza at its core surrounded by offices, retail space and luxury apartments. Associated amenities include a restaurant, chapel, amphitheater and recreational areas, all connected by a trolley line and trails which promote community, activity and link natural areas with built spaces. Because of its difficult environmental conditions, smart planning and water conservation were crucial to the success of this project.